(Colstrip) In December of 2016, after nearly a year of planning activity, Southeastern Montana Development (SEMDC) kicked-off the Economic Diversification Strategy planning session for Colstrip. 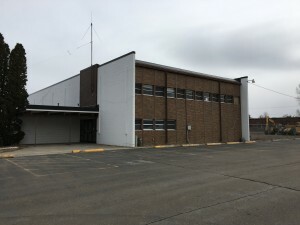 Even before the announcement in July of 2016 that Colstrip Units 1 and 2 would be closing by July of 2022, the community identified a need in their Comprehensive Economic Development Strategy (CEDS) to conduct a diversification and marketing study in hopes of stabilizing the local economic base. As a result, SEMDC wrote and received grants from Montana Coal Board, Montana Big Sky Economic Development Trust Fund and the federal Economic Development Administration (EDA) to hire a consultant to conduct the work. In November of 2016, KLJ was selected. In partnership with SEMDC, KLJ representatives kicked off the project with two nights of public meetings in early December, 2016. Local, regional and state community members, along with private sector parties and government officials attended, providing essential information and feedback as to the current economic drivers and challenges in Colstrip and ideas about potential diversification strategies. In addition to strategies addressing clean coal and energy related technologies, the group identified a number of additional new manufacturing, tourist, construction, agribusiness, place making, and workforce development concepts. KLJ has taken this information and in conjunction with extensive research related to regional and national diversification best practices, is preparing a draft community diversification strategy. A second public input session had been scheduled for January 31st, however, due to weather related road conditions, the meeting had to be postponed. The second Public Input Session is now scheduled for Monday, March 20, 2017 at the Colstrip City Hall (6:00pm). KLJ will present the draft strategies and will be asking for input and comment from the community and key stakeholders before finalizing the plan. The general public is invited and encouraged to attend. SEMDC and KLJ would like to acknowledge the tremendous support for this project thus far and encourage continued support as it moves forward. From local officials at the city and county to the Montana Department of Commerce, Governor’s office, the EDA, numerous Unions and even the White House, Colstrip and the future of coal and energy in Montana has received publicity, inquiry and genuine bi-partisan discussion which has propelled the success of this endeavor. For more information or to provide input prior to the public input session on March 20th, please contact SEMDC at 406-748-2990 or visit their website at www.semdc.org. Colstrip UNITED and the Colstrip community cordially invite you to attend a reception celebrating Colstrip Day at the 2017 Montana Legislative Session. Helena, MT – Governor Steve Bullock today announced $266,800 in grants to help businesses in six Montana communities, supporting the creation of 310 new jobs for hard-working Montanans and help Main Street Montana businesses plan for future growth. The funds are being awarded through the Big Sky Economic Development Trust Fund (BSTF) program. The BSTF program provides state funds to promote long-term stable economic growth in Montana. More information can be found at www.bstf.mt.gov. Â· The City of Great Falls received $120,000 of BSTF Job Creation funds to assist First Call Resolution, LLC to expand to Montana and create 300 new jobs in Cascade County. The BSTF funds will be used for reimbursement of equipment, construction materials and furniture. First Call Resolution, LLC, which will be located in Great Falls, is a provider of outsourced live agent contact center and businesses process solutions to various sectors of the new economy, including high tech, startup, mobile commerce, wireless, telecom, finance and insurance. Â· Lincoln County Port Authority received $75,000 of BSTF Job Creation funds to assist Invizon, LLC to expand to Montana and create 10 new jobs in Lincoln County. The BSTF funds will be used for reimbursement of equipment, software/broadband, lease rate reduction and wages. Invizon, LLC, which will be located in Libby, is a full-service professional provider of software development services and cost-effective web-based solutions. Â· Southeastern Montana Development Corporation received $4,300 of BSTF Planning funds to assist Fox Lumber Sales, Inc. with an equipment assessment of two drying kilns. The determination will be made as to whether the kilns, currently owned by the Northern Cheyenne Tribe, are repairable. The kilns will allow the company to expand its market, thus creating additional jobs. Fox Lumber Sales, Inc., which has an office in Ashland, manufactures and sells lumber products. Â· BitterRoot Economic Development District, Inc. received $27,000 of BSTF Planning funds to assist Tru-Home Montana, LLC with the creation of a strategic business development plan. Tru-Home Montana, LLC, which is proposing to be located in Bonner, is a business start-up that will construct pre-built housing using sustainable methods and locally sourced materials. Â· Montana Business Assistance Connection received $27,000 of BSTF Planning funds to assist Townsend Health Systems, dba Broadwater Health Center, with a campus master plan. Broadwater Health Center, which is located in Townsend, is a nonprofit, rural hospital that provides full services, including a wellness clinic and assisted living center. Â· Snowy Mountain Development Corporation received $13,500 of BSTF Planning Funds to assist Friends of the Historic Adams Hotel with an architectural report to determine the current conditions of the building and if restoration is feasible. The Adams Hotel, which is located in Lavina, was built in 1908 and is listed on the National Register of Historic Places. More funding opportunities are still available. The deadline for submitting an application for consideration at the next Grant/Loan Review Committee meeting is Dec. 28. For more information, contact Section Manager Annmarie Robinson by phone at 406.841.2250 or by visiting HTTP://www.bstf.mt.gov. Miles City Area Economic Development Council (MCAEDC) and Southeastern Montana Development Corp. (SEMDC) are now accepting applications for an Executive Director / Loan Officer position based in Miles City, MT. Position acts as the economic development officer for MCAEDC serving Miles City and Custer County and as loan officer for SEMDC serving eastern MT. This full time position offers a competitive salary, excellent benefits package and requires a college degree and minimum three (3) years experience in commercial lending, marketing, economic development or related areas. A complete job description is available upon request or online at www.milescitybusiness.net or www.semdc.org. Please send Letter of Interest, Resume and Reference List to: SEMDC, Attn: Jim Atchison, PO Box 1935, Colstrip, MT 59323. The Energy Open starts at 10:00 am on Thursday August 18th at the Colstrip High School Auditorium with registration and networking opportunities. Lunch will be served prior to the attendees departing on two different Tours. The two Tours which run concurrently, will feature the Colstrip Power Plant, formally PPL MT (coal fired power generation), the Boilermakers Training Center (workforce training), Castle Rock Lake (environmental and quality of life benefits) and the Western Energy Rosebud Coal Mine (mining, safety and award winning reclamation efforts). The first day will conclude with a dinner at the Moose Lodge featuring Keynote Speaker, City of Colstrip Mayor John Williams. On Friday August 19th, the Ponderosa Butte Golf Course in Colstrip will host the Energy Open 18-Hole Golf Tournament with lots of prizes, a shot at the “Coal Cup” Corporate Trophy and the $20,000 Hole-In-One prize. The golf teams will be treated to a breakfast prior to the tee time of 10:00 am. The day will conclude with a scholarship raffle and the tournament awards presentations. This is a great opportunity to network with energy leaders, decision makers, legislators and golf one of Montana’s most challenging public courses. The Energy Open is free to the public but prior registration is required. For more general information, please contact SEMDC at (406) 748-2990 or email jatchison@semdc.org or prhill@semdc.org. Additional information is available at www.semdc.org. The Montana Small Business Development Center (SBDC) Network invites you to our 7th annual Invest in Success (IIS) small business conference March 15 & 16, 2016 in Havre at MSU-Northern! The IIS conference provides hundreds of Montana entrepreneurs essential business workshops on leadership, marketing, financial management, operations and technical training for specific industries. This year we are expecting over 200 attendees and 25 vendors. The 2016 conference will help you “Solve Problems by Creating Opportunities,” and learn how to meet business challenges with strategic solutions. Our goal is for you to come away with new ideas to set higher standards for performance outcomes. For more information on breakout sessions, our Shark Tank live pitch business plan competition, and our Keynote Speaker, visit sbdc.mt.gov/investinsuccess. Where can I find more information about the conference? Visit sbdc.mt.gov/investinsuccess for more information on breakout sessions, the Keynote Speaker, Shark Tank and more. How do I register for Shark Tank? Registration for Shark Tank is live through Submittable. You cannot register for Shark Tank here. If you participate in Shark Tank, you will receive free admission. Do not register on this site if you are a Shark Tank participant! Please go to sbdc.submittable.com/submit to register. Applications close Feburary 19. Where can I find out more about the presentations? Can I change my mind about the breakout sessions later? Yes. If you select a breakout session you no longer wish to attend, please feel free to change the day of. Where are the conference accomodations? The BestWestern Plus Great Northern Inn (406) 265-4200 (406) 265-4200 has a conference rate of $89/night for one or $99/night for two. The room block closes on February 23, 2016.